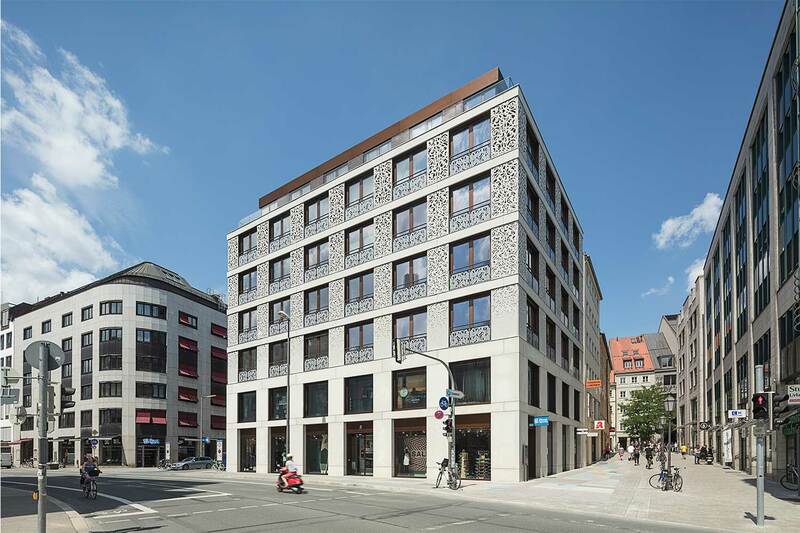 This prestigious office and commercial building is located in the heart of Munich’s historic old town within walking distance of Viktualienmarkt and Marienplatz. 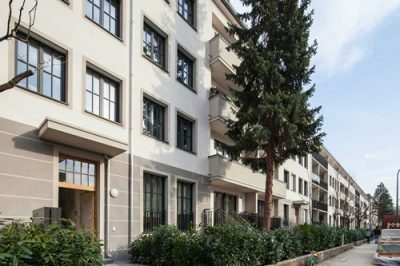 This very popular quarter primarily consists of well-kept town houses, which are among the oldest properties in the city of Munich. 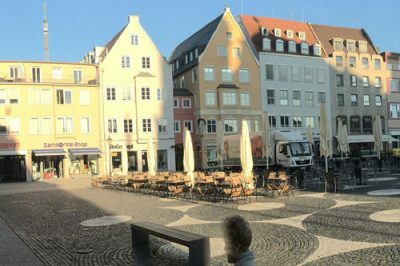 Marienplatz and the lively pedestrian zone can be reached on foot via the Oberanger. 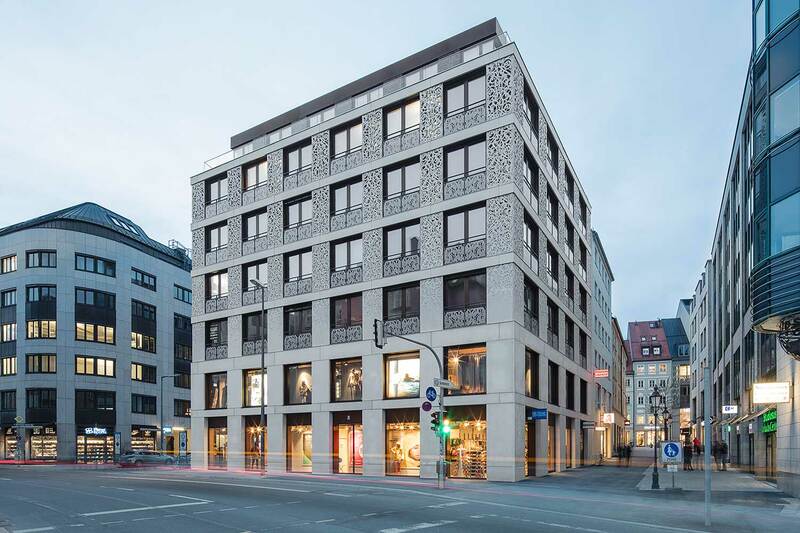 The property was realised in close coordination with the city of Munich as part of an architectural competition and is of the highest quality. 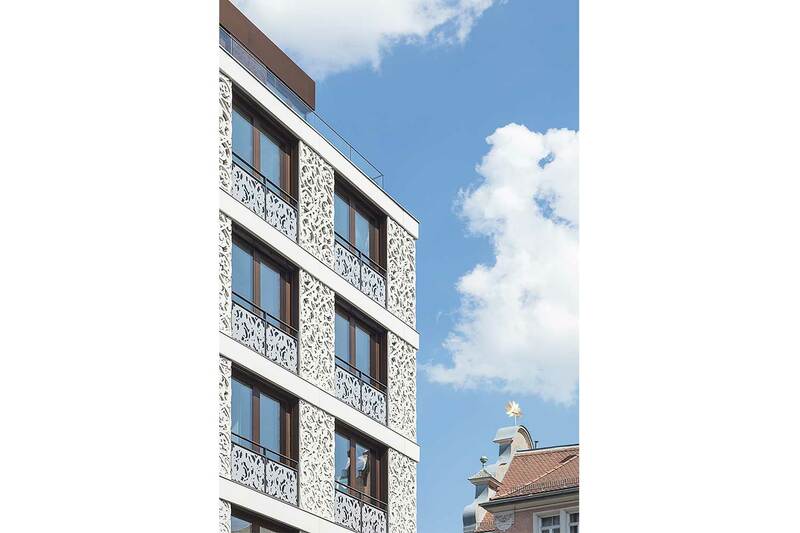 Architect Professor Staab from Berlin won this competition. 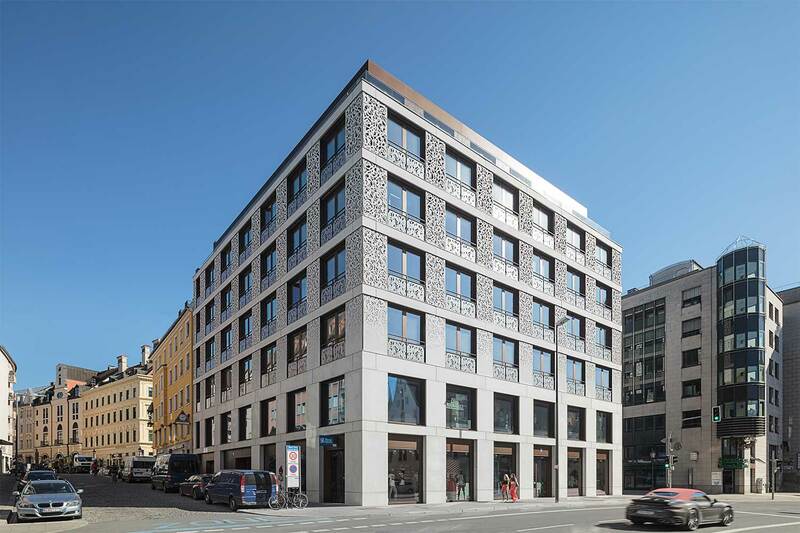 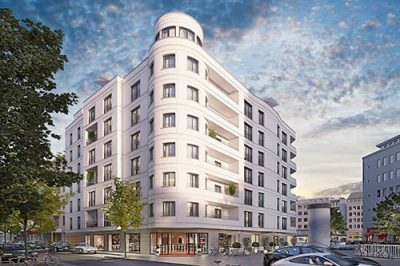 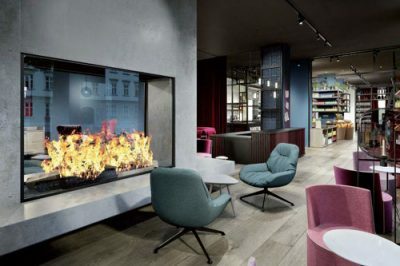 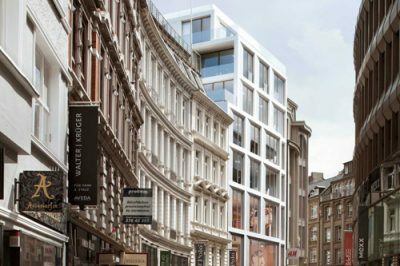 To ensure the new building fit in this historically significant location in Munich’s old town, the design characteristics of the historic facades in the surrounding area were analysed and formally adapted. 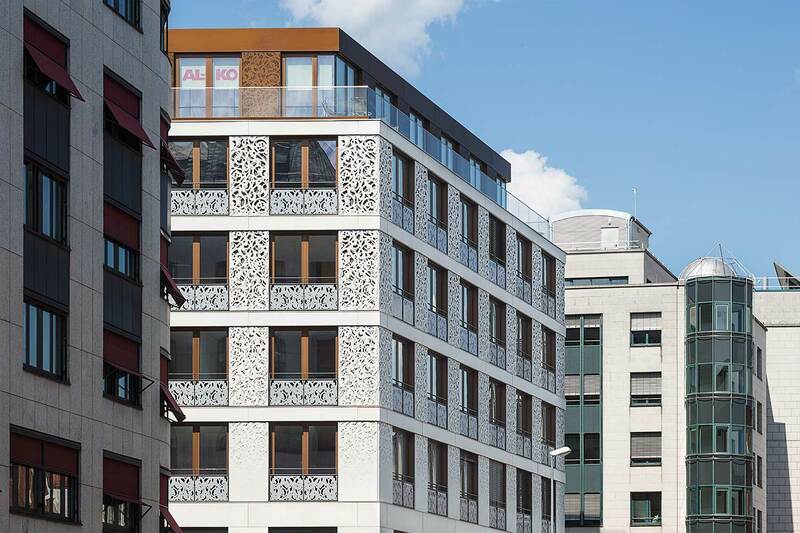 In the traditional building division of ground floor, central area and top floor, the building levels are emphasised horizontally and divided by vertically proportioned windows and façade surfaces. 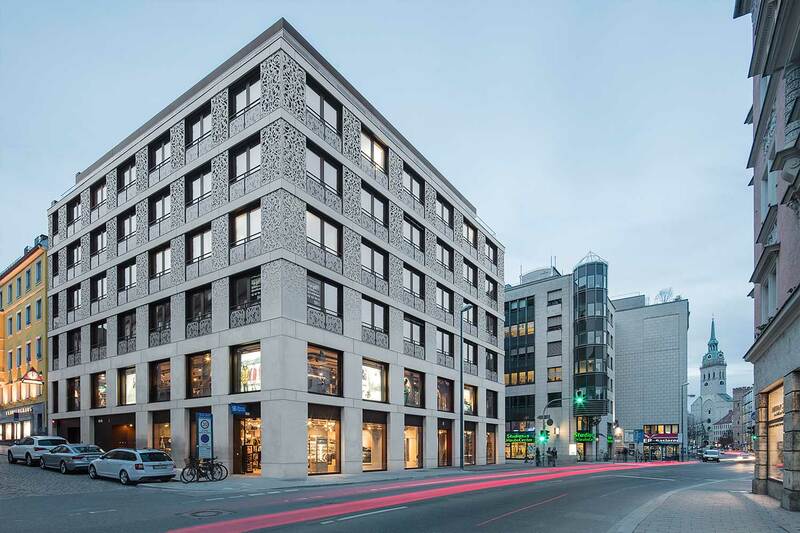 Two windows on each of the upper floors are grouped in pairs according to historical models. 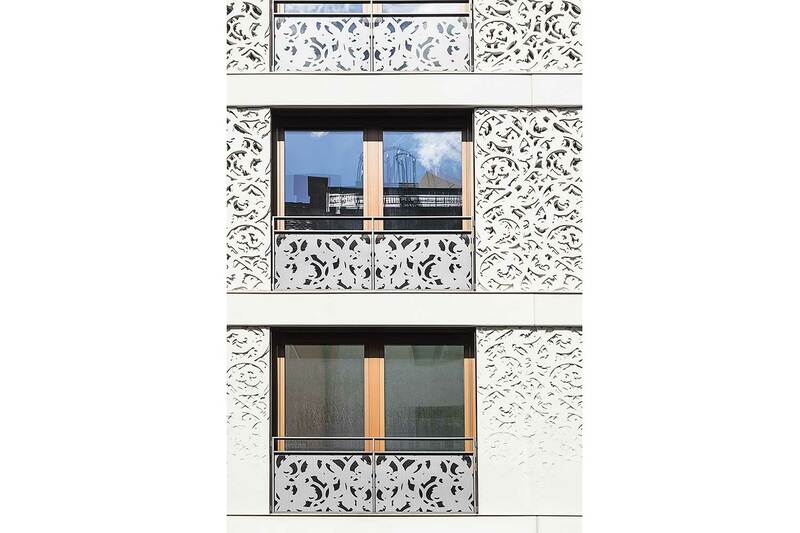 An abstract ornamental pattern on the facade elements brings the floral facade ornamentation of the surrounding buildings to this present day property. 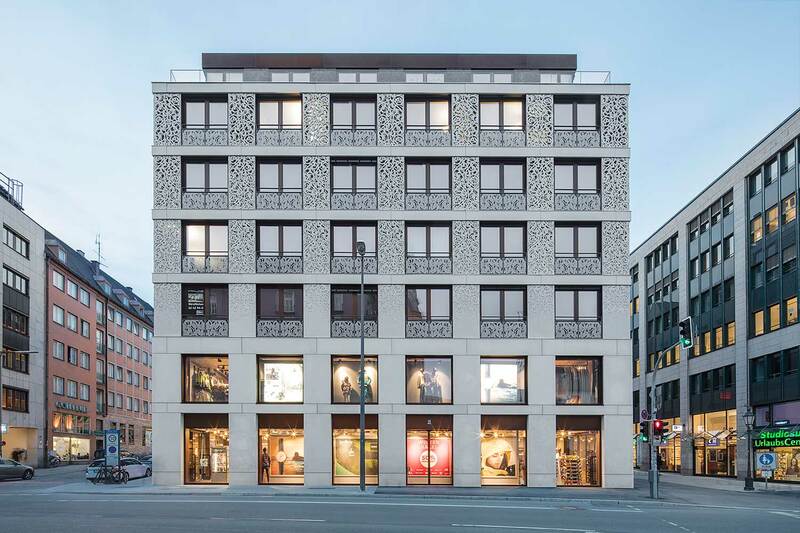 While the ground floor is accentuated by closed elements and deep window reveals, the façade elements made of glass fibre reinforced concrete exhibit an ever greater degree of perforation and transparency with increasing height. 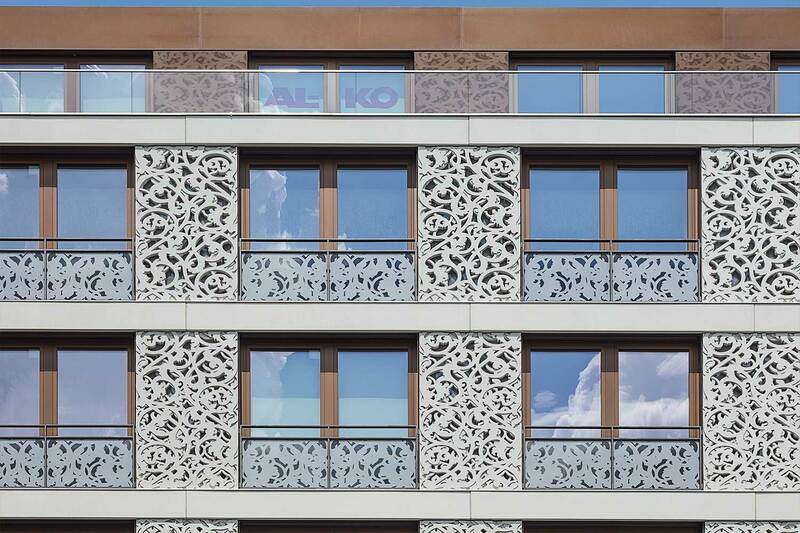 The recessed top floor is divided only by a glazed façade with adjustable perforated aluminium elements. 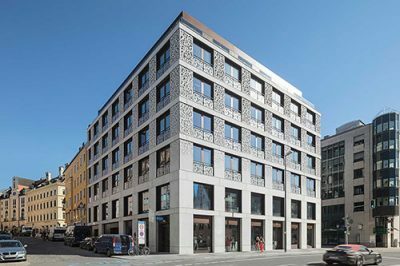 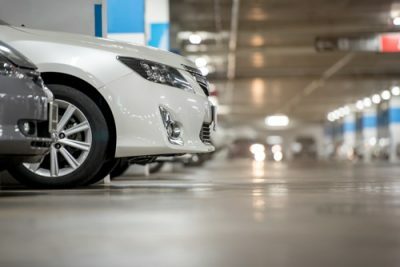 The office space on the upper floors can be used flexibly as open-plan, double and individual offices, while the ground floor offers retail space typical for the surrounding area.